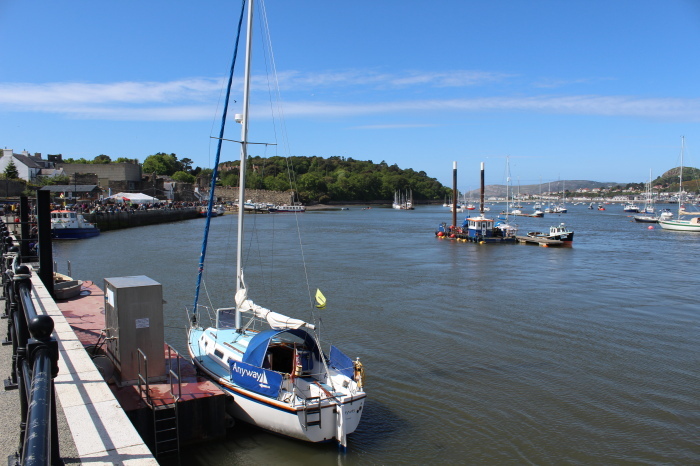 We arrived in Conwy at midday. For the first time without Meryl, who'd preferred to stay at home alone (we've seen the movie). Low tide but it was a neap, so just enough water at the jetty. We switched the engine on at 14:05 to motor to the fuel jetty to get some shopping for an evening BBQ. We left at 15:10 for Conwy bay. 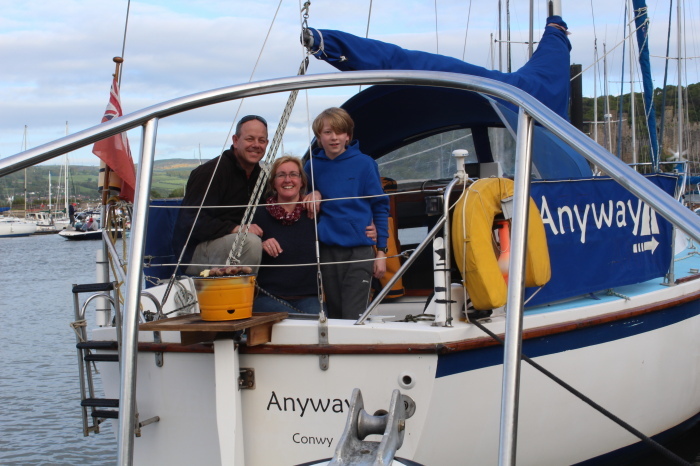 At 15:40 we hoisted the sails and sailed around in Conwy Bay. Timo did his usual disappearance trick to the cabin with an electronic screen (to work out the navigation....). The weather was lovely, but still cold. No sign of summer this year. We started heading back at 16:30 to be back on the mooring at 16:45 and lit the BBQ. The trip was 6.85 NM. It was still windy and the BBQ did slow cook the few sausages we put on it, with the emphasis on slow. I believe the frying pan and stove intervened at some point. 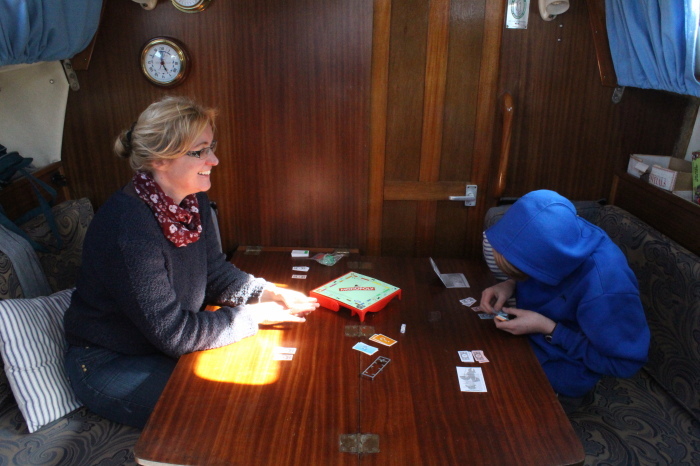 As the tide was out in the morning, we used it to play monopoly for hours on end. 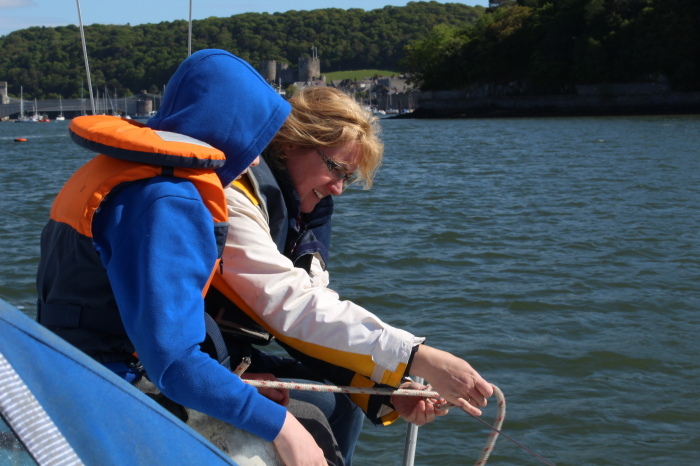 At 13:30 we set off again, this time with the plan to sail to Beaumaris via Puffin. But with the wind on the nose, we made very little progress and after 2 hours still hadn't passed Fairway. 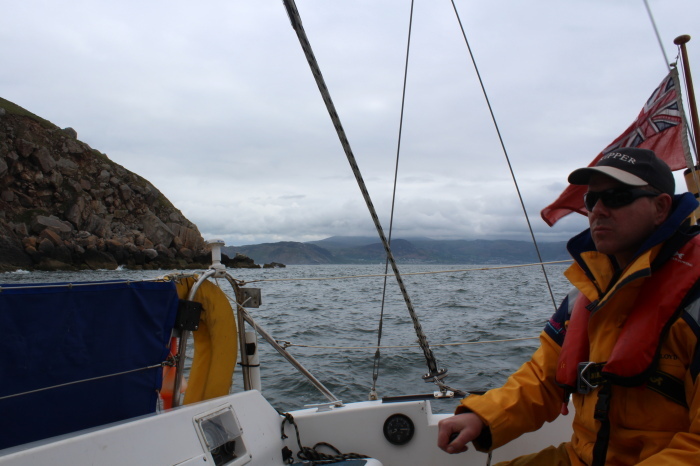 So we change plan and course and started heading for the Great Orme, just to the north of the sand banks. At 16:30 we rounded Orme's head but started heading back as we needed enough tide to take the North Deep back. The buoys marking the channel had been moved and this was a good test for the GPS to see if data had been entered correctly. 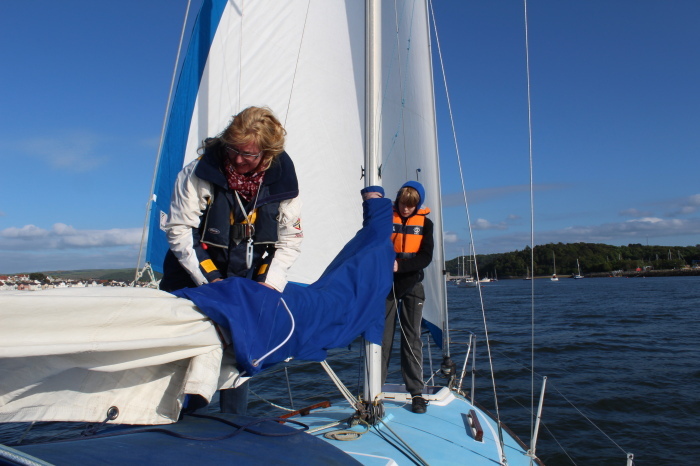 Near B2 we had just 1.4m water under the keel, with 5.8m tide. We were back on the mooring at 17:30 with 14.6 NM. With HW even later (18:10) on the day we had plenty of time in the morning. Late in the afternoon (16:18) we set off to get water from the fuel jetty as Geke was worried there would not be enough water to wash her hair. We continued out into Conwy Bay half sunk, due to the water taken in. But hair washing was now possible. At 17:10 we passed Perch and we passed Aloe Vera coming in. 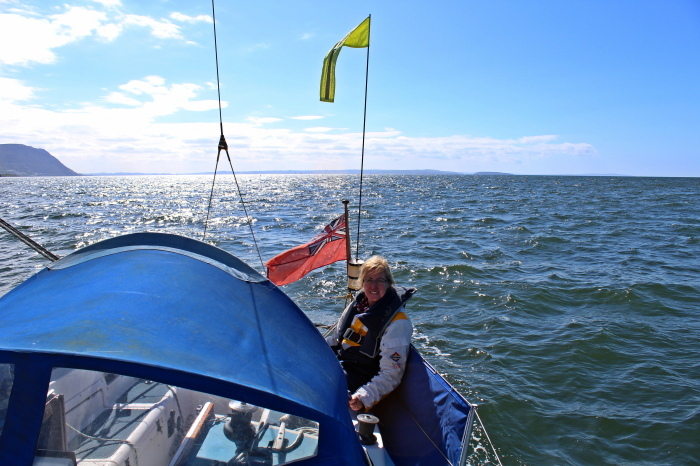 The weather was really nice with the sun in the west and all kinds of boats coming towards us. Timo was captain, but log book has an entry "where is the captain" followed by a note of the captain "I don't know" and a further note " the captain is in his bunk eating gun powder". The good news is that the log book is kept up to date with the situation at all times. We sailed all the way back to the mooring on the Genoa (and motor on standby). Moored up at 18:20 with 5.94NM. We headed home that evening.